PRICED TO SELL. Well below survey valuation. All Genuine Offers Considered. Contact us for more details. Design plans and build photos available. Beam engineering by Bruce Cartwright. Designed and built by John Ellerton. 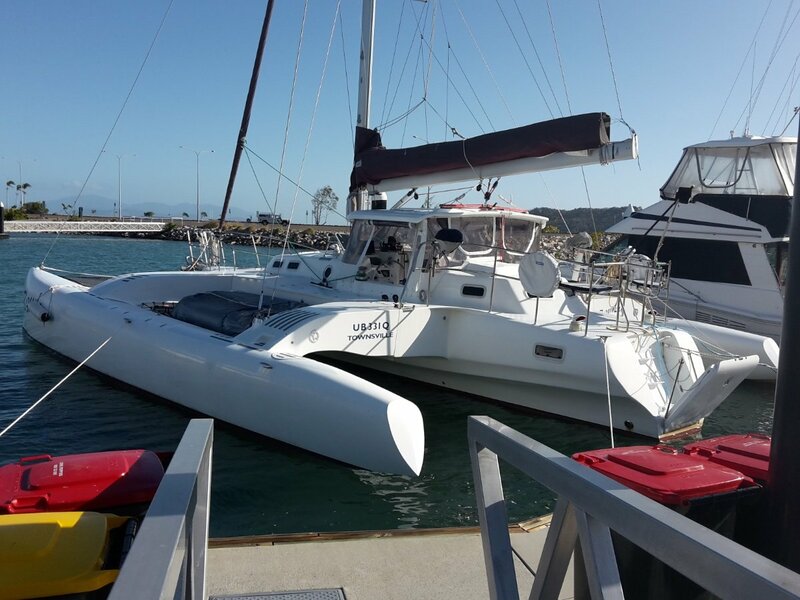 This is a very safe, fast and comfortable crusing trimaran capable of taking you around the world or across the bay. She was professionally built and launched in 2011 based on the best design elements of Hughes, the Cross 42, the Crowther Buccaneer and Schionning.